Celiac Baby! : What's for Sunday Brunch? Yesterday a good friend and her daughter dropped in for Sunday Brunch. What was on the menu? A mushroom, bell pepper and tomato frittata, cornbread, rice paper rolls with mango and carrot accompanied by two dipping sauces, salad and fruit. And all gluten-free, nut-free and dairy- free! The cornbread was from a mix, but the rest was prepared from scratch. A simple and delicious Sunday Brunch! 1- Chop all vegetables ahead of time and keep each separated. In a large bowl, combine eggs, salt and pepper and whisk thoroughly. 2- Heat oil over medium heat in a pan that is the size of frittata you wish to make. The smaller the pan, the thicker the frittata. 3- Add the garlic, onions and bell pepper to the oil, cooking until softened. Add mushrooms and cook another 1-2 minutes. 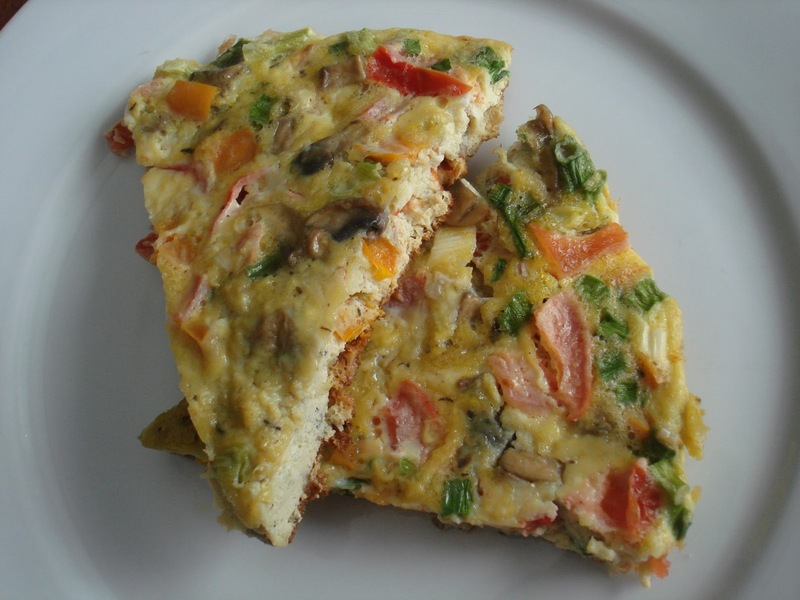 4- Add tomato and green onion to eggs, stirring to combine and pour over vegetables in pan. 5- Stir mixture until eggs begin to cook through. Place a lid on the eggs and allow to finish cooking, being careful not to burn the bottom. My frittata took approximately 20-25 minutes to cook completely. An alternative to the stove top method is to place the oven proof pan in a 350F oven until cooked through, usually about 20 minutes. 6- Transfer to a plate or serving platter by sliding out of pan. Cut into wedges and serve warm or cold. My son likes to eat his with ketchup, but I put out some grated pecorino cheese for my friend who doesn't have the same dietary restrictions. This sounds fantastic for anyone, not just those looking for Gluten free or Dairy free alternatives. Good work, Kathleen.